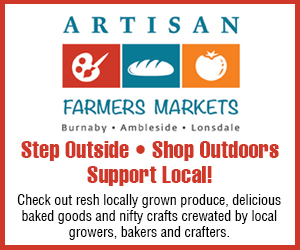 Just in time for the long week-end; Lepp Farm Market would like to share with all our BC Farm Fresh supporters how they make hot dogs. Lepp Farm Market is a family-run, year-round farm market that specializes in locally grown, farm to table products. This video shows our talented butchers making hot dogs. The pork is from animals raised on our Lepp Family Farm, in Abbotsford, BC, where the pigs are given spacious living quarters, fed an all-vegetable diet and not given any additional growth hormones or antibiotics. The same is true for our all-beef hot dogs. All the beef at Lepp Farm Market is certified Angus beef, and the cattle are raised exclusively for us at Hat Creek Land and Cattle Company in the Ashcroft, BC area. Our hot dogs are just spices and meat. There are no added fillers or binders, and they are gluten free! 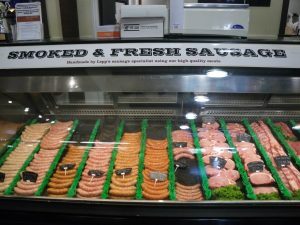 We use only full-muscle meat – butcher lingo for Quality – and they don’t contain any offal, snout, other unmentionable, or trim that should be discarded. And we process in small batches, no more than 60 kilos at a time, which ensures our customers are always getting a fresh supply. 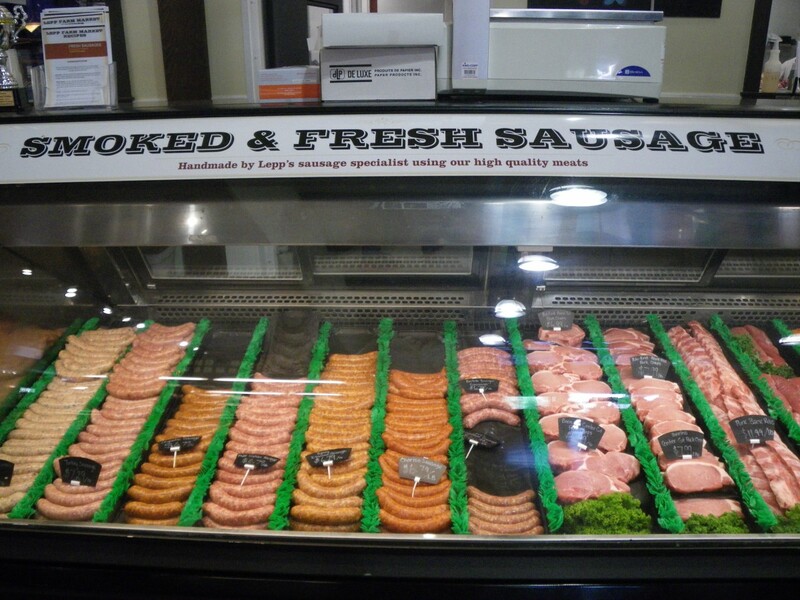 Come try them and enjoy your next BBQ or roasted wiener, knowing you’re eating quality meat! The pork used is from animals raised right on our Lepp Family Farm, in barns just behind the market. Our pigs are given spacious living quarters, fed an all-vegetable diet, and are not given any additional growth hormones or antibiotics. The same is true for our all-beef hot dogs. 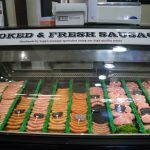 All the beef at Lepp Farm Market is certified Angus beef, and the cattle are raised exclusively for us at Hat Creek Land and Cattle Company in the Ashcroft area. Our hot dogs are just spices and meat. There are no added fillers or binders, and they are gluten free! Thanks Lepp Farm Market for sharing their story!